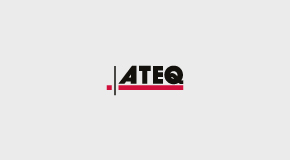 ATEQ is proud to announce the July & September software releases for the VT36, VT46, VT56 and VT56SE. 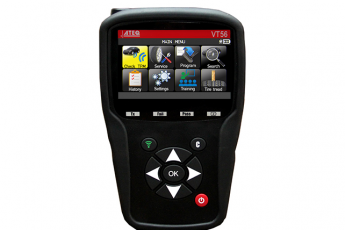 In July we introduced the Retrieve ID function in the VT56 TPMS tool. Now, you can read the current sensor ID inside the ECU, store them and use them to program a set third party sensors, in just a few seconds. And since the IDs are already stored in the ECU, no need to perform a relearn! New screens reminds the user to update his device, when the software is outdated. Another message, tell the user when the license is about to expire, and indicates where to purchase an update. Our September update boasts an improved the part number look up, and now includes support for Trailer TPMS and TPMS Retrofit kits. We’ve made it easier for technicians to identify indirect vehicles at a glance. When entering Make, Model, Year in the Check TPM menu, all our tools indicate if the vehicle is direct or indirect. Search no more! Finally, we’ve added relearns in Greek, Russian, Hebrew and Croatian. In July and September we added new cars models from: Alpina, Aston Martin, Audi, Bentley, Citroen, Ford, Hyundai, Jaguar, Kia, Lexus, Lamborgini, Land Rover, Lexus, Mercedes, Maybach, Nissan, Opel/Vauxhall, Peugeot, Rolls Royce; Subaru; Suzuki, Tesla, Volkswagen, Volvo. We updated the OE sensor information for car models of the following brands: Alfa Romeo, Alpine, Audi, BMW, Chevrolet, Citroen, Chrysler, Ferrari, Fiat, Ford, Hyundai, Infiniti, Jaguar, Jeep, Kia, Lada, Lancia, Land Rover, Lexus, Mazda CX-3, Mercedes, Mitsubishi, Nissan, Toyota, Opel/Vauxhall, Peugeot, Tesla Roadster, Volvo. We added new aftermarket sensor coverage for: Alligator Sens.it and Sens.it One, Schrader EZ-Sensor, Alcar by Schrader, Italsensor, HUF Intellisens, ProSens, Unisens by repstar, Hamaton, Orange, Mobiletron and Sysgration.